Lettering can be used to greatly enhance a memorial design. All lettering was originally created by hand cutting the letter. The choice of typeface is almost as important as the epitaph itself. It depicts a style, whether it is classic, traditional, old-style contemporary. 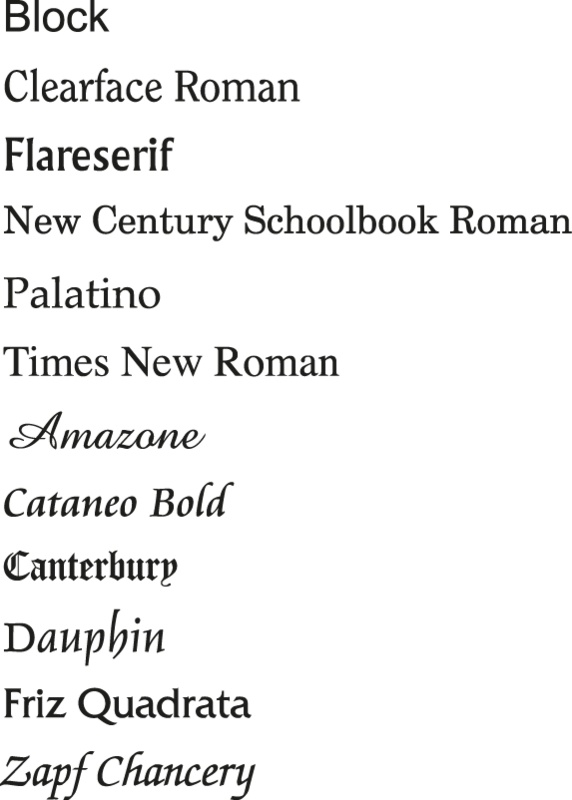 We can offer the choice of fonts shown on this page. We can however, offer hand cut and lead lettering. Please ask for details. It is sometimes difficult to think of the everlasting words for the memorial.